He is Yuri Lowell&#039;s best friend, though they do not show it much. He is a part of the Imperial Knights and, unlike Yuri, he wishes to change the empire from the inside. 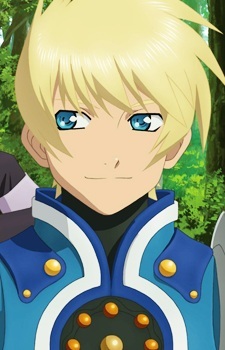 Flynn, in contrast to Yuri, is a knight who would solve the larger problem before the smaller ones. He has a similar sense of justice to Yuri, but would rather solve them through politics. His differences in ideology causes him to clash with Yuri, although the two are not really at odds with each other. This can be represented in the fact that Flynn chooses to work in the Empire, whereas Yuri chooses to work in the Guilds. Flynn uses a sword and shield in the battle. Similar to a Magic Knight but with more physical artes than spells. His mystic arte is Radiant Dragon Fang. Flynn and Yuri have known each other since they were children, and often used to spend time together. However, after leaving the Imperial Knights, Yuri seems to act apatethic toward Flynn, ignoring all warnings Flynn gives him.